No Smoking Day is an annual health awareness day in the United Kingdom which is intended to help smokers who want to quit smoking. The first No Smoking Day was on Ash Wednesday in 1984, and it now takes place on the second Wednesday in March. This year this falls on the March 14. Here at Pharm@Sea we offer a very comprehensive programme to help you quit. Our advisors will go through habits, usage, triggers and based on this information they would recommend nicotine replacement therapy such as patches, micro-tabs, mouth spray, lozenges, inhalators etc. So to help motivate you to make the first visit to a smoke free life here is some benefits to quitting smoking. The withdrawal from nicotine between cigarettes can heighten feelings of stress. As the stress of withdrawal feels the same as other stresses, it’s easy to confuse normal stress with nicotine withdrawal, so it can seem like smoking is reducing other stresses. But this is not the case. In fact, scientific studies show people’s stress levels are lower after they stop smoking. If you find that you’re prone to stress, then replacing smoking with a healthier, better way of dealing with stress can give you some real benefits. 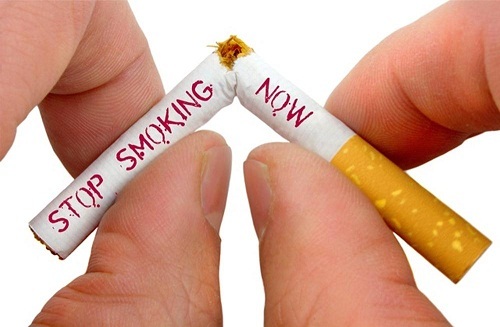 Stopping smoking improves the body’s blood flow so improves sensitivity. It’s also been found that non-smokers are three times more appealing to prospective partners than smokers. Non-smokers find it easier to get pregnant. Quitting smoking improves the lining of the womb and can make men’s sperm more potent. Giving up tobacco stops teeth becoming stained, and you’ll have fresher breath. Ex-smokers are also less likely than smokers to get gum disease and prematurely lose their teeth. In other words, it’s never too late to benefit from stopping. Being smoke-free not only adds years to your life but also greatly improves your chances of a disease-free, mobile, happier old age. Breathing in secondhand smoke increases the risk of lung cancer, heart disease and stroke. In children, it doubles the risk of getting chest illnesses, including pneumonia, ear infections, wheezing and asthma.